Ali Abur obtained his B.S. degree from Orta Dogu Teknik Universitesi, Turkey in 1979 and both his M.S. and Ph.D. degrees from the Ohio State University in 1981 and 1985 respectively. 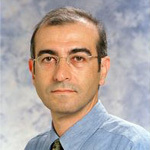 He was a faculty member at Texas A&M University until November 2005 when he joined the faculty of Northeastern University as a Professor and Chair of the Electrical and Computer Engineering Department. His research and educational activities have been in the area of power systems. He is a Fellow of the IEEE for his work on power system state estimation. He co-authored a book and published widely in IEEE journals and conferences. He served on the Editorial Board of IEEE Transactions on Power Systems and Power Engineering Letters. He also serves as an IEEE PES Distinguished Lecturer.